John Ralston Saul's new book calls out Canada for its human rights failings. 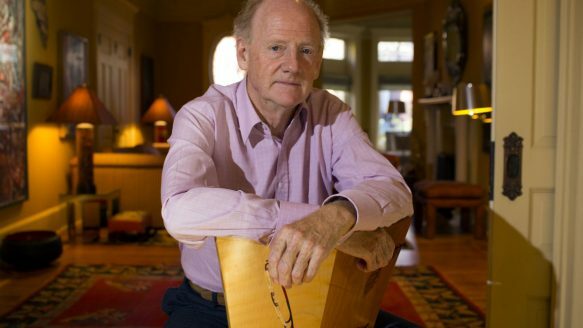 If the biggest favour one human being can do another is to speak the truth, especially when that truth is uncomfortable to hear, then Canadians probably owe John Ralston Saul a collective nod of thanks. To this high season of books by and about aboriginal people in Canada, Saul this week adds The Comeback, a celebration of how native people are empowering themselves, a review of how they've been (and continue to be) wronged, and a warning that Canada is at an historic moment when this missing piece in nation-building must be addressed. He does not claim to speak for aboriginal Canadians. More than ever, they do that for themselves, he says. "There's a critical mass of aboriginal thinkers and leaders and writers who are using the methods which can get to the population at large - very fine novels, very fine essays, very fine public arguments," he told the Star. Recent novels by Richard Wagamese (Medicine Walk) and Joseph Boyden (The Orenda), a searing new memoir by Edmund Metatawabin (Up Ghost River) about his experience in residential school in Fort Albany are among those books that support Saul's contention. "What we face is a simple matter of rights - of citizens' rights that are still being denied to indigenous peoples. It is a matter of rebuilding relationships central to the creation of Canada and, equally important, to its continued existence." The stakes are that high, he says. And - given history, the power of demographics and the rise of an educated aboriginal class - the issue is not going away. "Enormous efforts are being made to stop it, to sideline it, or to slow it down," he says. "It cannot be done." Denial and delay will merely create more bitterness and anger. "And once you produce that kind of anger and, forgive the old word, alienation, then things start happening. And you don't control those sort of things once they start happening." When one considers what was done to extinguish native Canadians, the demographic growth and rising confidence of aboriginal peoples is "a civilizational triumph," he writes. In just a century, the Indian, Inuit and Métis population has exploded with the highest growth rates in Canada. Aboriginals are on the way to numbering two million or more. They are being educated in record numbers. They are armed with treaty powers, recent court victories, influence over tracts of commodity-rich lands. Their intellectual and political leadership has been forged from almost impossible challenges. They want no one's sympathy, only justice. The current situation reminds Saul of nothing so much as Quebec in the 1960s, he writes, with the emergence of a new elite of "smart, tough, intellectually lean, rightfully angry young people" determined to address injustice and forge their place in Canada. Back then, "we dealt with it," he said. "Is it neat and tidy? No. It will always be with us, this sort of tension. But we dealt with the wrongs. It cost a lot of money, it was a big effort, but we did it. And we have a functioning system that reflects a certain level of fairness." So, too, was attention and resources spent on welcoming new Canadians into an increasingly diverse nation, he said. "So the big remaining area is the founding chunk - which is aboriginal peoples." He leaves no easy out for guilty liberals merely satisfied to have their hearts in the right place. "We - you and I - have not elected or defeated people on this basis. "That's what we need to do now. We need to be saying to people who want to be our representatives: 'I will vote for you or against you depending on your willingness to come full front on this issue, spend the money, act with respect, listen to the courts,' "
Saul understates neither the magnitude of the moment nor the consequences of failing to meet it. "This is the great issue of our time, the great unresolved Canadian question upon which history will judge us all," he writes. He tells the Star: "You cannot have a mythology which isn't true. What breaks countries apart is that there's a fundamental untruth, or unresolved major injustice in the country. It's like a disease. It starts to attack the country. And you don't know how it will attack the country." Canadians foster a national self-image as a place of justice, equality and generous heart, even as our history and ongoing behaviour toward aboriginal groups suggest otherwise. Supreme Court rulings are ignored, the federal government vilifies a handful of Indian band chiefs for misspending, businesses walk away from initiatives such as Ontario's Ring of Fire development because of the alleged intransigence by natives. That story, Saul says, is just another example of the aboriginal comeback. "People went into the Ring of Fire under the old idea that they could get what they wanted under the old terms. And it turns out that under the new terms it's going to be done differently. This is the shifting of power, just as the pipeline story is the shifting of power. Suddenly, people are realizing that they can't get those pipelines without the aboriginals. That's real power. This is not the same Canada." So in Canada, two things must happen, he writes. "We must reinstall a national narrative built on the centrality of the aboriginal peoples' past, present and future. And the policies of the country must reflect that centrality, both conceptually and financially." If some say there's the rub and claim we can't afford it, well, smiles John Ralston Saul, history shows that most of the things Canadians now cherish and take pride in were things we couldn't afford.